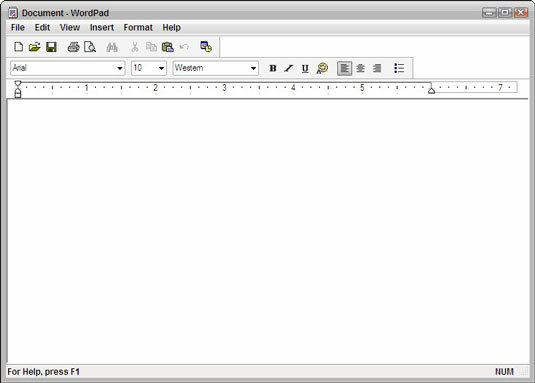 WordPad for Windows Vista is a free program in which you can create and format documents quickly. Use Vista’s WordPad to create simple documents, such as quick letters or basic reports. You can even use WordPad to format your new document, such as changing the font, inserting objects, or even adding font effects. Just follow these steps to simply and quickly create and format your next simple document in WordPad. Following this path opens the WordPad window. 2Enter text in the blank document. Press Enter to create blank lines between paragraphs. You can click and drag to select the text and choose Format→Font. 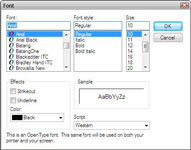 In the resulting Font dialog box, adjust the settings for Font, Font Style, or Size. You can apply strikeout or underline effects by selecting those check boxes. 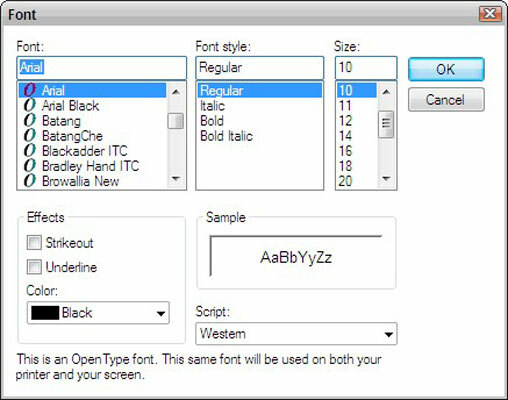 You can also modify the font color and even apply a script from a language that uses an alphabet different than English, such as Arabic. Click OK to apply the settings. You can click various other tools, such as the alignment buttons or the Bullets button on the toolbar, to format selected text. 4Insert an object by choosing Insert→Object. Select the Create New option, click an object type, and then click OK in the Object dialog box. Modify the inserted object however you want (moving it, resizing it, and so on). In the Save As dialog box, enter a name in the File Name text box, select a file location from the Address Bar drop-down list, and then click Save.